A few years back, a close friend of mine moved to Orillia for work. While he often visits Toronto on the weekends, my family and I have also had the added benefit of visiting Orillia as well. It is only an hour and 15 minutes north of Toronto, or 20 minutes north of Barrie! While we often take advantage and spend a lot of time lounging around my friend’s pool in the summer, there are also tons of places to go in the area, with plenty of things to do…museums, parks, and farmer’s markets, to name a few. Orillia is not a summer-only stop! There is tons to do in all four seasons! The pool aside, I love going to the local beaches. The two main beaches are sandy, have clean water, changeroom facilities and washrooms, friendly lifeguards and are never unbearably crowded. The parks by the beach have some great playgrounds. Of course, with lakes on both sides of the city, there are always people going on leisurely boat rides, fishing or just walking. Looking for other summer activities? There’s some great hiking trails, a go-kart track between Barrie and Orillia, and a drive-in movie theatre…perfect for a cozy date! If you are visiting during the cooler months of the year, there are still lots of things to do: a trip to the sugar bush for maple syrup and pancakes, great hiking trails, treetop trekking and fantastic tobogganing hills. If eating out is your thing, there are a wide variety of restaurants to experiment with. Choose from diners, chain restaurants, great independent spots and if that is not enough choice for you, you could always drive 20 minutes south to Barrie! I have to mention the classic: when you are up in Orillia, you’re only minutes away from Weber’s, the burger joint on Highway 11 that signifies you’ve arrived in cottage country. Head in the opposite direction and you have Casino Rama – a great spot for dining, concerts, shows and gaming. After your stomach is full, if you want to flex your retail muscle, at more than just your average chain stores, there’s a very robust main street. Of course, you can’t bypass the main street without going to the Mariposa Market for some delicious pastries and baked goods. In the evening, the area comes alive with some bars and restaurants playing live music to make it a lively and fun atmosphere. An opera house regularly has incredible shows and plays. I often like watching a movie or two up in Orillia, as there’s only one theatre (a sixplex), but because it’s smaller than those in Toronto, it’s usually not as crowded. Lastly, when you exhaust all that there is to do in Orillia, there are also little day trips you could take, such as driving up to Gravenhurst, Midland, or Port Carling. 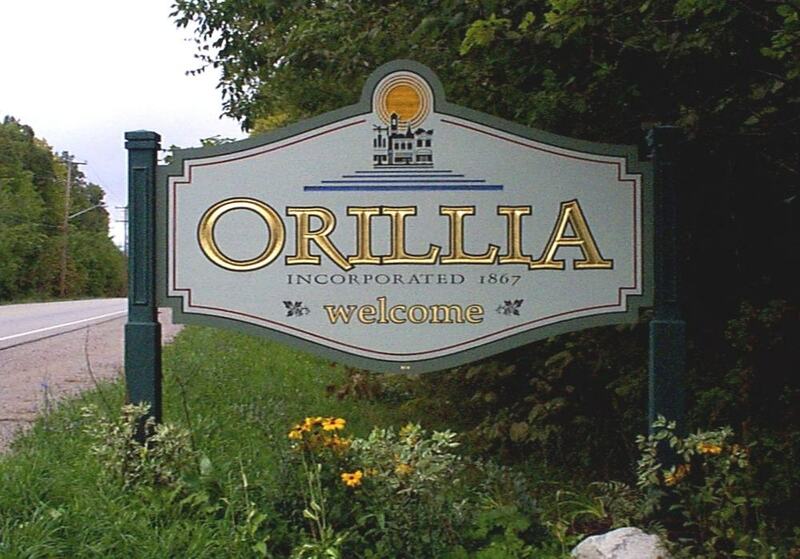 Though it’s only a short distance away from Toronto, if you want to get away from the big city and take a break from it all, make Orillia your next stop!